Almost five times faster, in fact, as measured by the Hubble Space Telescope. 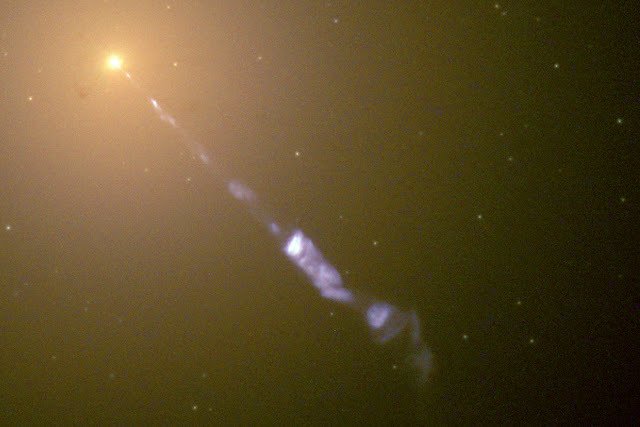 This feat was first observed in 1995 in galaxy M87, and has been seen in many other galaxies since. It might have you questioning your entire reality. Nothing can break the cosmic speed limit, right? You can’t just flaunt the laws of physics… can you?If you want to just enjoy the illusion from your seat in the audience, stop reading. Otherwise, I welcome you backstage for a look at how the trick works – and how it’s helping astronomers to understand the fate of entire galaxies.